This season’s ‘must have’ fashion item! A great way to support our cause. 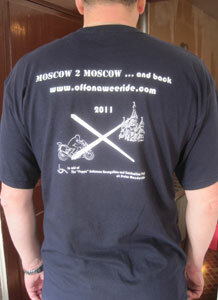 All profits from the sale of these T-shirts will go to The Poppa Guttmann Trust. Be one of the team. 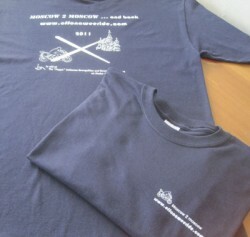 Gildan brand T-shirts in heavy navy cotton represent fabulous value at just £12 ea. plus postage. For delivery to UK and European destinations, simply click “Add to Cart” below to select size and pay using a credit card or PayPal account. You can buy more than one shirt by clicking the “Continue Shopping” link in the Shopping Cart. For delivery to a non-EU country, please email me at brigid@offonaweeride.com, and I will let you know the postage costs on an individual basis.